Tom Clancy’s Jack Ryan is the second true reboot of the Clancy character, after 2014’s Jack Ryan: Shadow Recruit. This time around, the analyst-turned field operative is played by John Krasinski, four years into his tenure at the CIA. Ryan has been looking into a possible terrorist cell, led by a man referred to as Sulieman. I’ve been anticipating this show ever since it was announced, especially after Krasinski was cast in the titular role, as he had just impressed me in 13 Hours: The Secret Soldiers of Benghazi. 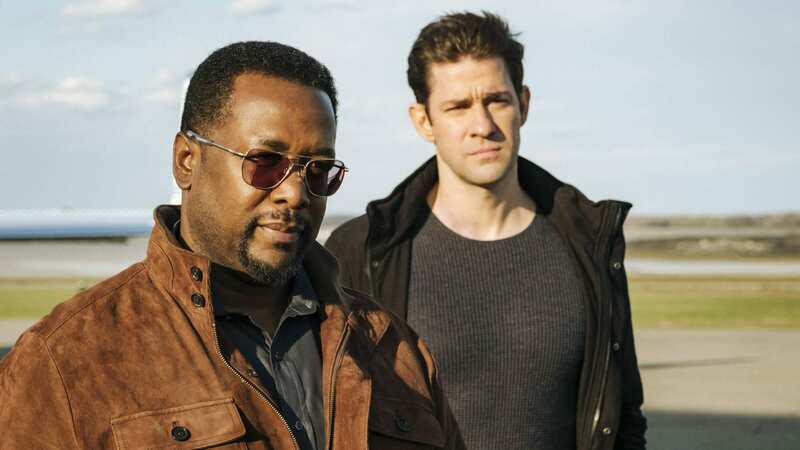 When they revealed that it wouldn’t be based on any of the books (none of which I’ve read, but I plan to remedy that), I wasn’t particularly bothered, I’m happy to say that my excitement was founded, because Tom Clancy’s Jack Ryan is a home run for Amazon, Krasinski, and all involved. Obviously, we need to talk about Krasinski. He is spectacular in this role, deftly balancing some of the bigger action sequences and embodying Ryan’s intelligence. As I’m sure others have said, he doesn’t come off as a perfect action hero; he’s no John Matrix or Rambo. He mostly uses his cunning to get things done, and even when he does pick up a gun and go toe to toe with his threats, it’s 100% believable. Krasinski is also asked to show a good deal of emotion, especially in the back half of the season. Between this and this year’s A Quiet Place, Krasinski is proving that, in addition to his comedic sensibilities and his budding action stardom, he’s a formidable dramatic actor. Wendell Pierce takes on the role of James Greer, previously played by the illustrious James Earl Jones, and owns the part. He doesn’t play it the same way that Jones did, and I’m okay with that because Pierce’s take is awesome. He plays Greer with menace, sarcastic wit, and a great deal of reserved emotion. You can tell, in the few times they talk about his past, that he’s carrying a lot of baggage within him, and Pierce uses his eyes and face to exemplify that. He also has some fantastic chemistry with Krasinski, and their interactions are priceless. Abbie Cornish delivers a rock-solid performance as Cathy Mueller, Jack’s love interest. They bounce off of one another admirably, and I completely buy their romance. Last, but certainly not least, is Ali Suliman as Suleiman, the villain of the season. Suliman gives it his all in every scene, even if he isn’t speaking very much. It’s all in his face and eyes. He truly drives home the humanity of his character, and he’s an intimidating foe for Ryan, not just physically, but intellectually. The character work is exemplary. Watching Jack Ryan go from somewhat green analyst to a bonafide and capable field agent is genuinely thrilling, but even beyond that, seeing him progress after the horrible things that have happened to him might be even better. From the onset, Jack is plagued by memories and nightmares of his time overseas as a Marine. Watching him move past these issues through his interactions with two of the more important people to him, Cathy and Greer, keeps the development authentic and engaging. Cathy listens to him and comforts him the way a significant other would, Greer is someone to whom Ryan can relate, as Greer started out like Jack. They reach an understanding with each other through discussion, with Greer telling Ryan when he’s being irrational. These two relationships are absolutely crucial in shaping the person Ryan becomes by the end of season one. They also do a good job of bringing in a very important element of the Jack Ryan character that the previous reboot failed to engage audiences with: Jack’s moral compass. The writers do a great job providing us with realistic and strong scenes where Jack is put in situations that make him greatly uncomfortable. Ryan treats the world in black and white, with very little gray in between. Ryan is also very idealistic, thinking that he doesn’t have to compromise in order to accomplish his mission, even when Greer tells him that it’s impossible. We can feel Ryan’s frustration when dealing with these types of situations, but it never feels like they’re shoving a moral perspective down our throats. Finally, Suleiman is the most surprising aspect of Jack Ryan. As some have already stated, the writers lend a great deal of humanity to this character. It’s sad that it’s surprising to treat Suleiman as a three-dimensional human being with understandable motives, even if what he does in the name of those motives is abhorrent. In the hands of a less capable team, they could have easily just turned Suleiman into a faceless, copy-paste terrorist, but they didn’t. I don’t want to spoil anything about him, as he holds the most surprises of the series, but they did a great job with him for most of the season. It’s tough to talk about the plot of Jack Ryan without spoilers, but I will say that the eight-episode order is perfect for this story. The pacing is tight, not a single moment feels wasted, and they move the show along with such a sense of urgency. I also thought certain scenes would go much differently than they do. Jack Ryan evidently had a sizable budget, as it seems that a lot of the series is shot on location in such places as Paris, the Alps, Turkey, and Washington D.C. The cinematography is also sharp, especially in the pilot’s large-scale battle scene; it looks more like a film than a show. The quality of sound is great too. The roar of engines, the cracking of gunfire, and the booming explosions are expertly crafted, and it’s all mixed together respectably. I never had a problem making out dialogue over music or sound effects. Speaking of the music, the score by Ramin Djawadi (Game of Thrones) is great as well, upping the tension in the gun battles and intense espionage work. This is expected if you’ve listened to Djawadi’s previous work. The various directors helm the action scenes expertly, but the standout sequence is the big battle in the pilot. Morton Tyldum magnificently shows the chaos of the invasion, with the geography of the base crystal clear. The sound helps in this sequence as well, as the gunfire is deafening and the explosions can be startling. It’s a brutal scene, and they don’t shy away from violence in this series. Is there anything about Jack Ryan that I don’t like? Like other critics, I take issue with Suleiman’s devolving in the final few episodes. It’s odd to watch a character who had such a strong backstory – one that truly makes him understandable – fall into the same old clichèd terrorist archetype. It seems like any sense of dimension just melts away, especially in the finale. Despite that, however, I very much enjoyed watching Tom Clancy’s Jack Ryan, and eagerly await the already announced second season. What did you think of Tom Clancy’s Jack Ryan? Let me know in the comments below! Stay nerdy everyone! Tom Clancy's Jack Ryan is an action packed, smart, and character driven espionage series that should please fans of the source material and general audiences alike.